Come and join us! RYA’s Push the Boat out is a fantastic opportunity for you to experience sailing. 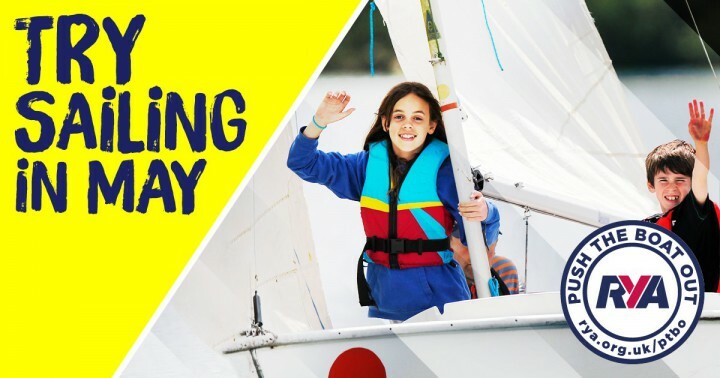 At Strangford Lough Yacht Club we will be offering you a range of “have a go” taster sessions on different types boating and how to have fun on the water. Getting involved could not be easier - come along we would love to meet you. Come down to Strangford Lough Yacht Club from 11.00 onwards. When you arrive go to the club house where someone will meet you and explain what is available and book you on to the sessions you wish to try. You will be able to experience dinghy sailing, yachting, motor boating and power boating -whatever appeals to you. Our club members will take you out on the water and let you “have a go”. On land you can enjoy the club house and our wonderful views of the lough, we will have a BBQ on the go with refreshments available so please feel free to stay and chat. You can pre book via www.slyc.co.uk or just turn up on the day. 30 - 60 minutes out on the water. Lifejackets provided. Bring a water proof jacket, soft shoes such as trainers that can get wet and change of clothes just in case.